Configure and maintain a Cisco ASA platform to meet the requirements of your security policy. 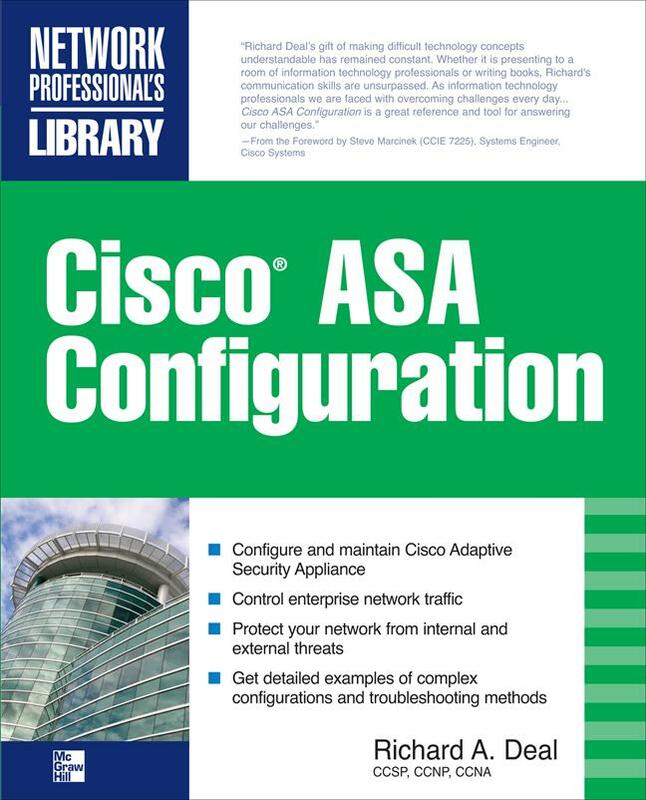 Cisco ASA Configuration shows you how to control traffic in the corporate network and protect it from internal and external threats. This comprehensive resource covers the latest features available in Cisco ASA version 8.0, and includes detailed examples of complex configurations and troubleshooting. Implement and manage Cisco's powerful, multifunction network adaptive security appliance with help from this definitive guide.